Welcome to the gated community of Glenmuir in Windermere. 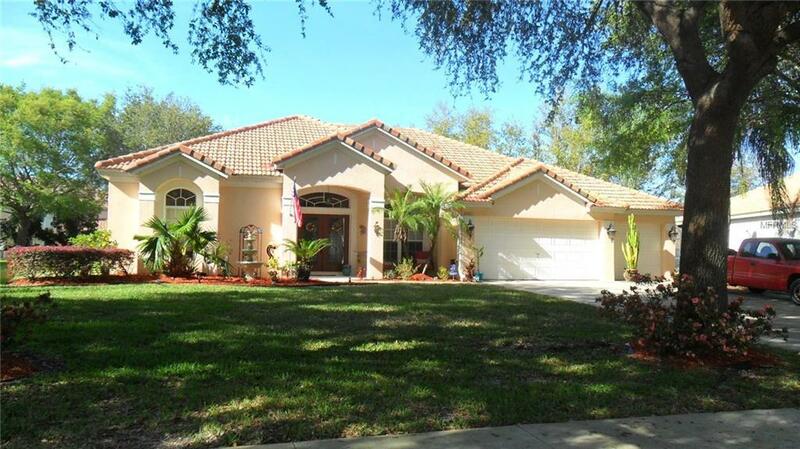 This 4 bedroom, 3 full & 1 half baths with a separate office. Enter through the foyer with the office through the double Glass doors on the right. Ahead is a formal living room and crown molding and a view of the Pool area. The dining room with Italian marble flooring is to the right of the Formal living area with crown molding, and wainscoting. The butlers pantry is located off the dining room and adjacent to the kitchen. Laundry room is off the butlers pantry leading to the garage. The kitchen has 42 custom cabinets and all stainless steel appliances. It is open to the breakfast nook and the family room. There are sliders off the breakfast nook leading to the screen enclosed Pool area. There are 3 bedrooms and 2 full baths off of the family room. The 20 master bedroom has sliders leading to the Pool deck. Master bath has a separate shower stall and a garden tub and Double sinks in the vanity. Large walk in closet is off the master bath. The three car garage has cabinets for additional storage. Both A/C units replaced with higher efficiency units and a whole house water filter added. Some furnishings may stay. The community has a playground and a basketball court. Easy drive to shopping centers, hospital, restaurants, highways, theme parks, and the Orlando International Airport. Excellent Schools. 10K Redecorating allowance to buyer. Listing provided courtesy of Evista Resources.